It’s been a bit quiet around here for the last week or so, mainly because I’ve been really busy with work and trying to improve my sleep. It’s not quite there yet but things are definitely getting better! Speaking of improving (ahem) I’m back on a diet. A few months back I decided not to blog about dieting anymore because I clearly wasn’t doing it properly with any kind of commitment. I’ve been losing and gaining the same 6 pounds for 6 months now and I’ve decided it’s time to stop. I’m going to be very strictly following the Slimming World diet (since I already have all of the info from when I joined online last year) for 2-3 weeks. I’m also going to try and actually do some exercise. If I see some good results then I’ll stick at it. If not then I officially give up and accept that I am one of those people who cannot shift the last of the baby weight and am going to have to get used to it. To be fair, it isn’t really that bad. I don’t look quite the same as before and I can’t wear all of my old clothes but my weight is still in the ‘healthy’ range for my height. I’d just like to be back where I was – and be able to use my whole wardrobe! This is a dieting/health/exercise folder and has sections for food ‘intake’, exercise and all sorts. Best of all it was reduced to just £2! Oh how I love a bargain. So far it has been great to have a proper place to write down what I’ve been eating. I’m not very good at writing it in my diary or in a notepad but I seem to be able to remember to keep up to date with this. I won’t bore you with daily or even weekly updates if there’s nothing to report. If I’ve lost a few pounds then I’ll post or, in a few weeks time, if it hasn’t worked then I’ll be blogging about replenishing my wardrobe with new, budget-friendly clothes in a larger size! When I used to spend more money more often on clothes, a lot of the things I bought were specifically for work. There’s no getting away from it; if you have a job where you have to look smart and don’t get supplied with a uniform then you have to make sure you look the part out of your own funds. Laura over at Move To Portugal also recently blogged about getting a capsule work wardrobe on the go. Firstly there was the pair of black sandals which can be worn either at work or home (and which I blogged about at the time). Secondly there was a pair of black trousers which I bought in February. I got them from Gap online. They were on sale and I also used codes to get free delivery and a further 15% discount! I have worn them a lot. I have a couple of pairs of black trousers that are in okayish condition from pre-pregnancy but I definitely needed a ‘smart’ pair. Lastly, Husband treated me to a simple black linen skirt from the Tu range at Sainsbury’s. I didn’t have any work skirts at all so it is great, plus I would happily wear it outside work if I felt so inclined (good luck shoe-horning me out of my jeans though). It seems that these three items are going to be enough to get me comfortably through the rest of the season. This is one of the great things about only being in the office a couple of days a week – I can get away with a much, much smaller work wardrobe. This really helps keep costs down and also – I need less storage space for it all! I’ll have to check through my supplies again when the weather gets colder (let’s not think about that now) but, for now, I’m all set! I’ve been reading and enjoying Shoestring Alley ever since Shoestring began writing it, and she has asked me to write a post about selling on eBay. Whilst I don’t consider myself any sort of expert on the subject, and am still learning all the time, I have been selling on Ebay for almost ten years now, and have grown my business over the years to make a good, regular part-time salary from it. So, without further ado, here are my top ten hints and tips for selling on eBay, aimed particularly at those who are new to it. 1. RESEARCH – you can see how much similar items have sold for in the recent past by ticking the ‘completed items’ box in the Advanced Search feature. Also useful to see which category is best to list in. 2. DESCRIPTION – be as honest as you can in your description. If the item has any faults or is well-used, say so. Try to keep the written description factual and concise. 3. 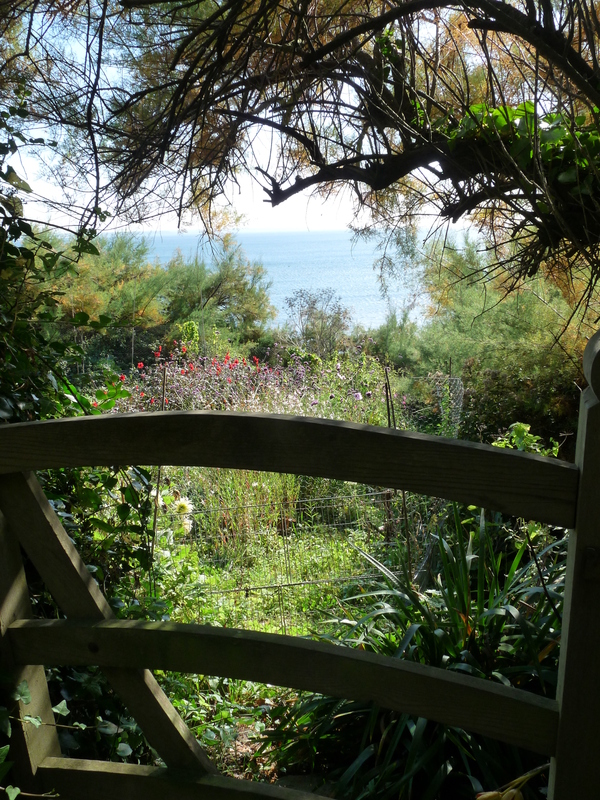 PHOTOGRAPHS – as the old saying goes, a picture paints 1,000 words. Good quality photos are the key to getting a good price. Generally speaking, the more photos, the better (although in some categories, eBay charge extra for more than one photo). 4. TITLE – Remember that people will find your item by searching on certain words. An item title that reads “DRESS SIZE 12” will therefore get far fewer hits than the title “BLUE LONG SLEEVE SILK WALLIS DRESS, SZ 12, BNWOT”. 5. START/END TIME – Everybody has their own ideas about this, but personally I’ve found the best end times for auctions are Sunday early evening and Mon/Tue/Wed between 7 and 8.30 pm. 6. STARTING PRICE – As a rule of thumb, I like to keep my starting price as low as possible, which I have found encourages more bids and interest. I start many items at 99 pence (which also means free listing). 7. OVERSEAS – For many years, I didn’t send items overseas, but after a friend had some success I tried it, and about 5% of what I sell now goes abroad. Touch wood, I’ve had very few problems with postage – only one item has gone missing in the last 12 months. Do make sure that the Royal Mail will pay out if the item is lost, though – I found out the hard way that perfume is not insured overseas. 8. FEES – remember to take into account eBay and Paypal fees – they are often higher than you anticipate. 9. POSTAGE – weigh the item, and work out roughly what it will cost to post with packaging added. Do not be tempted to overcharge for postage, although adding a small amount to the actual postage cost to cover peripherals is acceptable. 10. COMMUNICATION – probably the most important tip I’m going to give you. Always communicate with your buyer. Answer any questions promptly, thank them for their purchase, post their item as soon as humanly possible after they’ve paid for it, and let them know you’ve done so. In the rare event that there are any problems, communicate politely and promptly. Thanks Caroline! Now it’s just down to me to get some things listed…! A week off from the hectic pace! I’ve decided to have the week off. Not a week off work, but a week off from as much stuff as I can drop. No feeling compelled to catch up with everyone, no batch cooking – in fact as little cooking as possible, no major planning, no funny little projects. As close to nothing as I can manage! I’m settling for a quick tidy up, including the washing up, in the evening (otherwise the mornings are a nightmare) and I’m raiding the freezer for the week so we can have home cooked meals with practically no effort and very little cleaning up. 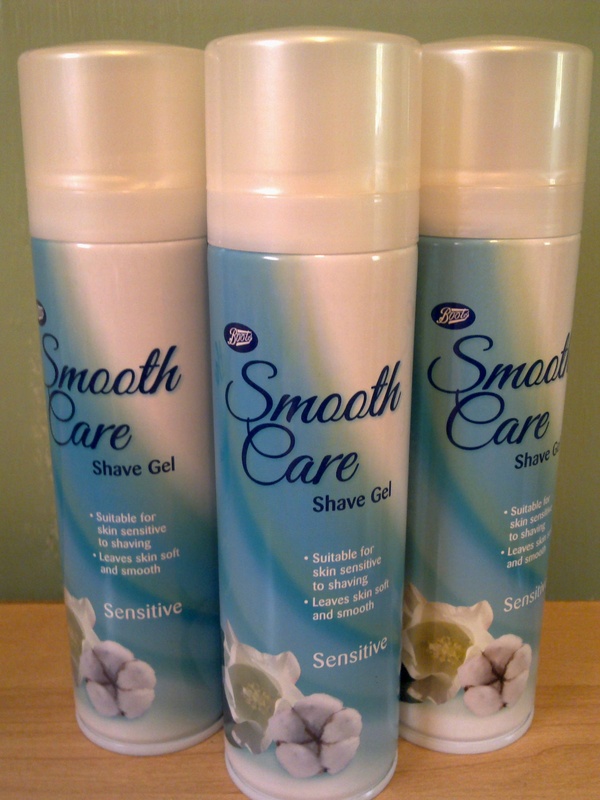 In yet a further attempt to save a few pennies, I’ve switched to Boots own brand shaving gel. I used to use one that cost about £3.50 whereas these cost £2.85 per can. As Boots are running a 3 for 2 offer I got all three cans for £5.60 which works out at around £1.85 each. I only use this stuff very sparingly so it should last me a long, long time! I should also add that Boots are running a great offer on Johnson’s baby wipes at the moment. I wrote a post the other week about using these instead of the more expensive face/skincare wipes. At the time I was pleased because Tesco was running a BOGOF at £2.44. Boots are currently beating this at £1 per pack! Actually managed to get someone out to come and look at our front door and got him booked in to do the work – result! (You’d think it wouldn’t have been this hard given the state of the economy but there you go). Went to Homebase, chose and bought: door handles, locks, hinges etc. Went to local builders merchants and got paint for our new front door. Chose glass and door from trade catalogue and ordered. Got door fitted! Yes!!!!! Need to wait until next week for the glass to arrive (it will have boarding in the spaces until then). Dad will be painting the door for us this weekend if the weather isn’t too awful. I feel like I have been waiting and waiting and waiting for this to be done. When we had our place on the market before one of the comments made by an estate agent was that the front door let the rest of the property down. I’m hoping the new one will make a better first impression! When we looked at doors before we went to B&Q. For one practically identical to the one we’ve just bought, you could either pay £179 for just the door or £579 for the complete kit (ie including a door frame, handles, hinges etc). Neither included glass and both would have needed to be varnished/treated or painted. By going through someone we know and using their trade discount we’ve managed to get the whole thing done for about £430 which includes the door itself, the glazing, two locks, door handles, hinges, letter plate, paint, primer etc and the labour for fitting it. I am very pleased with this! Plus I’ve got a much nicer looking door than I thought we would be able to get. This is going to take up most of what was left in our ‘House fund’ account. One of the next big things we’ve got to pay for is carpet. The stair carpet leading up to the first floor from the front hall is in such a bad state it is beyond professional cleaning, as is the carpet in our bedroom. I had hoped that we would have moved before this needed doing but we aren’t going to get away with it any longer! I need to get a final price on the door so I can work out how much we have left towards carpet. I’ve already decided that I need to put some extra back towards this from my wages this month rather than putting it in my ISA (it took me days to make up my mind about this). Getting our home finished and market-ready has got to be the priority for just a few months! Regime sounds a bit grand doesn’t it? I don’t spend a lot of time on my skin these days, it has to be said. However, I do like to make sure I’ve cleansed, toned and moisturised. My skin tends to freak out (ie go spotty) if I a) don’t look after it properly and b) if it doesn’t like a new product. Plus I’ve got fine lines here and there. You’ve got to do what you can! 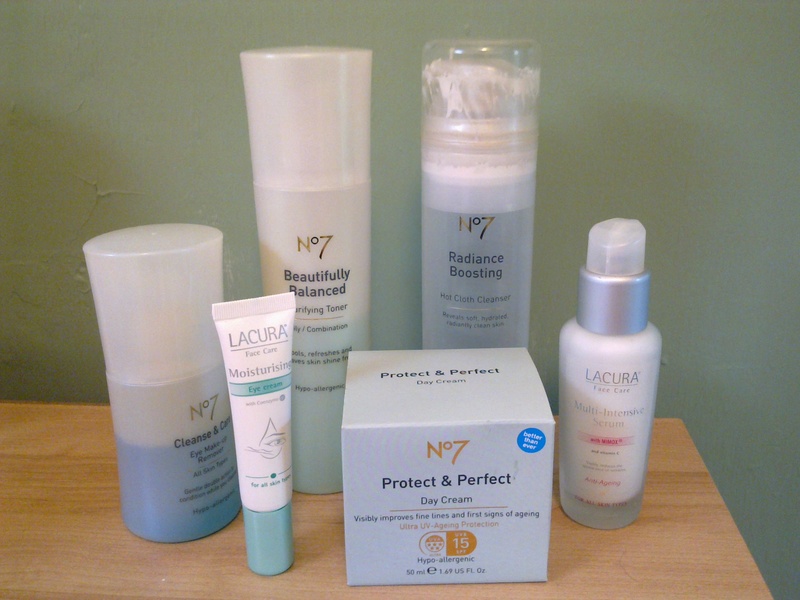 For the last year or two I’ve almost exclusively used No 7 products. The hot cloth and cleanser (a blatant but very good rip off of the Liz Earle ‘Cleanse and Polish’ which was one of the many products that provoked a skin freak out) is £8.75 but I stock up when the £5 vouchers are out which reduces the cost to £3.75. When the £5 vouchers are out I also stock up on toner (which gets reduced to £2) and eye make-up remover (which gets reduced to £2.75). Back in the day I used to spend a huge £40 on a Lancome moisturiser. I eventually managed to find a cheaper replacement (which was brilliant) from Loreal but they discontinued it. Grrr. Anyway, last year I started using the Protect and Perfect day cream. Even with the voucher it costs around £15 which is a lot. However, I’ve only just run out of my first jar and I started using it about 9 months ago so a little goes a very long way! After reading about the Lacura range (by Aldi) over at Frugal Queen I decided to give it a go. So far, so good. I bought the eye cream (£3.49) and the beauty serum (£3.99). I also bought a pot of their £1.99 Q10 cream (you know, the one that had all of the beauty editors fooled). The only trouble with the Q10 is that is doesn’t have any SPF. Thus I have been using it at night time (when I clearly do not need UV protection) which should make my No 7 moisturiser (with SPF 15) last longer. It can take a while of experimenting to find the ‘right’ products for your skin – invariably they discontinue the product or change the ingredients when you’ve just got used to it and then you have to go searching again! There are much cheaper products out there – in places like Boots and Superdrug I’ve seen face washes, cleansers and toners for around £1 each – sometimes even cheaper. I give other, cheaper products a go from time to time but so far the Lacura range is the only budget brand that has been okay on my skin. While it is great to be budget conscious, there is no point using a product on your skin that actually makes it look worse – that is a real waste of money! For now I’m doing really well with the products above. My skin is happy and the prices fit within my budget (provided I stock up when offers are on or vouchers are available)! Write a list of everyone who you buy a birthday present for each year. Allocate a budget for each gift and add it up. Write a list of everyone who you buy a Christmas present for each year (for some reason this is always slightly different to my birthday list). Allocate a budget for each gift and add it up. Write another list, this time accounting for extra greetings cards and gifts (include things like weddings, anniversaries, Valentine’s Day, Mother’s Day, Father’s Day and other special occasions. Also factor in wrapping paper for all of the above/ Add it all up. Then add up the above three figures and you’ve got your annual spend on gifts. Shocked? I was. Even with mostly giving small gifts to a lot of the people the total runs into the several hundreds. I know a lot of people swear off giving gifts altogether and that’s fair enough. I can’t do it though. I love giving presents, even if it is just a book or a scarf! So it’s all about setting a realistic budget. With funds being pretty tight at the moment I’m going to be putting back £25 a month which, gives us a budget of £300 a year. The rest will have to come from little buys here and there from my general spending money. Ideally I would put back enough for the whole budget but a) I want to see how creative I can get with it this year and b) putting back more would mean sacrificing other savings funds that are more important at the moment. I’ve blogged plenty of times about giving gifts on a budget but if you fancy a refresher, click on the following for how I get organised about buying in advance, a bit more along the same lines and also home-made gift tags. I have to say, I heart Amazon. I really do. Most people I know love a book or DVD for a gift and the prices are so affordable – plus it is all with free delivery now. I recently bought a new paperback from an Amazon seller for 1p plus £2.80 P&P. The book arrived in perfect condition and was given to a friend as a gift. She loved it (I knew she would – we like reading the same stuff which helps!). £2.81 plus the cost of a card is about as budget friendly as you can get! Any other ideas for budget friendly gifts? Do you ever find yourself saving things up for no good reason? A nice notepad? A scarf? The ‘posh’ pasta you bought? I do this all the time but I’m trying to stop it. When you spend a lot of energy trying to declutter and simplify your home, hoarding things for ‘best’ seems somewhat counterproductive. I guess we all hoard different things. I have a huge collection of notepads. It has been slowly going down since I started this blog as I very rarely buy one these days. 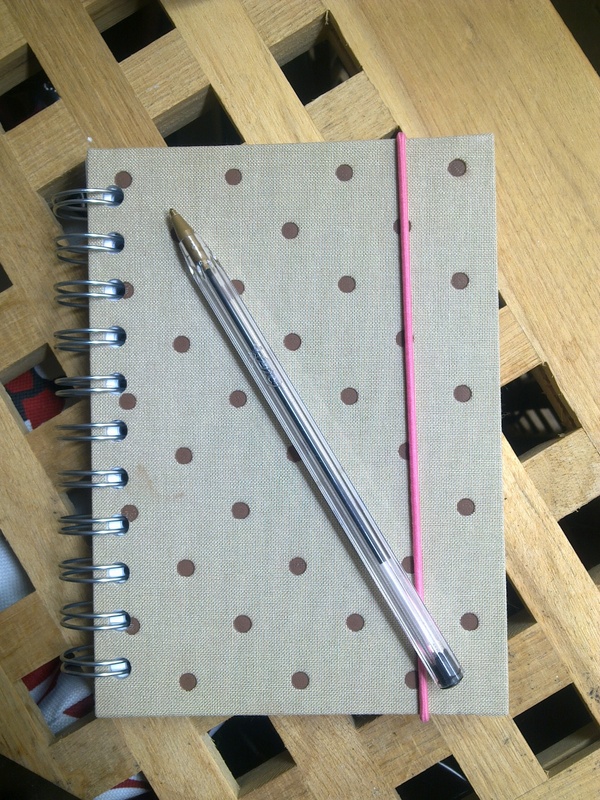 However, as everyone knows I love stationery I tend to get given a lot (which I love!). I’m trying to make sure I actually use them rather than have a huge stash of notepads to be used for something important. The one in the photo was bought for me by my BF earlier this year. Rather than saving it I’ve been using it to write my weekly meal plans – it makes what is generally a dull job a lot nicer! 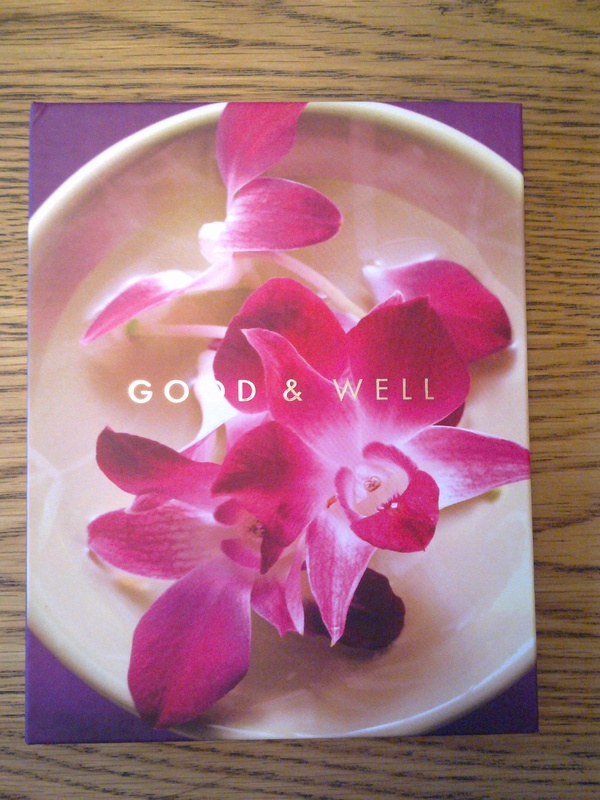 Some years ago now we went to New York and I bought a gorgeous hardback notepad from the Guggenheim. It sat on the bookshelf unused for years because I always felt I should use it for something signifigant. Then I decided to just use it. When I started my ‘Declutter 10’ series I used it to list the 10 items I had managed to declutter that week. Now I’ve got it back out for my DIY 5 step programme to record what I manage to get done each week. I also seem to have a huge stash of body lotion, comprised mainly from gift sets that I have been given over the years. I hardly ever use lotion. I think that by the end of a bath or shower I just can’t be bothered. But…it is just sat there, taking up space, not being used and my skin could probably use a bit of pampering. I’ve taken a tub of lotion out of the bathroom and brought it downstairs so I can actually see it. I don’t remember/ feel compelled to use it every day but once or twice a week I’ll slap a bit on while I’m reading or watching TV. I’ll be trying to think of others things I’m hoarding for no good reason and get cracking on actually using them! After all, if the money has already been spent you might as well get some use out of it! …my baby girl was born! She was then and is now the most gorgeous thing I have ever seen. I still can’t believe she is real. I changed my first nappy. Sadly this was by myself in the dark, trying to manipulate the electric hospital bed upright while picking up the baby and trying to get the changing bag off the floor. Got told off by the nurse for doing this only a few hours after surgery but I’d been pressing the buzzer for half an hour and no-one came. For all I know, no-one was going to come. Seems I’m not alone in this experience. I wish they could have let me home where there would have been plenty of help on hand but there you go. Breast feeding, thankfully, came very easy. Not so for the poor woman across the ward who was up all night trying to feed a screaming baby. Who, thus, also kept me awake all night. When Husband arrived the next morning I hadn’t slept since I saw him last. To be fair, I haven’t slept much since either!